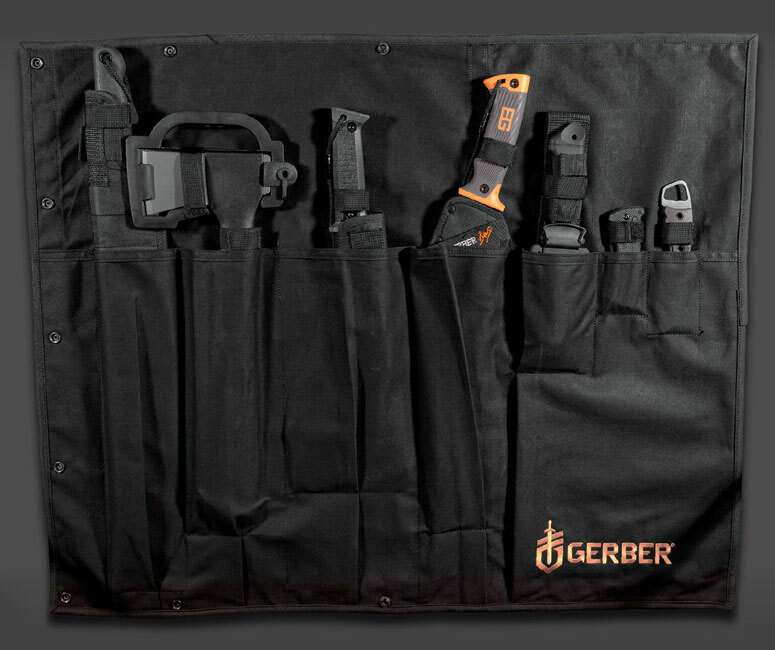 In the future, when the zombies begin to roam through your town devouring all the brains in their path, be prepared to protect your family and defend yourself by grabbing this cool new Gerber Apocalypse Survival Kit. This mega cache of survival blades includes 3 knives, 2 machetes, 1 parang and an axe all rolled up in a durable canvas carrying case. It's the perfect set of sharp tools for lopping off undead heads, cutting through suburban brush and protecting your safe spot from others running from the Walking Dead. Hmm, better grab a shotgun, a chain saw and a bite-proof helmet as well. If you can't relate to these, you may not be human.